We are pleased to announce Casa Colina Hospital's Medical-Surgical Wing opened to our community on April 1, 2016. Located next to our nationally renowned Acute Rehabilitation Wing, the 31-bed, 38,220 square-foot Medical Surgical facility expands Casa Colina Hospital to 99 beds. What Type of Patient Care is Provided? Physicians who specialize in a wide range of procedures ­– from orthopedic and neurosurgery to gastroenterology, urology, spinal surgery, and more – perform surgeries in our new state-of-the-art medical facility. Unlike typical hospital settings, the new Medical-Surgical Wing does not have an emergency unit which means operating room schedules will not be affected by urgent or unplanned cases. 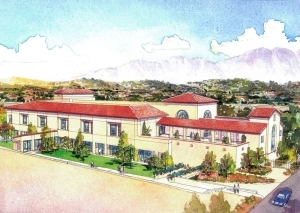 And if any of Casa Colina Hospital's rehabilitation patients experience a medical setback, they will no longer need to be transported to another acute care hospital for stabilization. The new Medical-Surgical Wing is equipped and staffed to handle these acute medical cases whenever needed. With the opening of our hospital wing, Casa Colina cares for approximately 2,300 more people each year and provides nearly 200 new job opportunities for people in our community.